September 13, 2018 1:34 pm. Trainer Matt Dunn is keen to see how Thunderous Strike performs over 1600m at Doomben. Trainer Matt Dunn’s assault on The Kosciuszko has stepped up a notch but first his attention swings to Doomben with Thunderous Strike. The gelding will be having his third race start in Saturday’s QTIS Three-Year-Old Handicap (1600m). Dunn has a big opinion of the gelding who scored at Ipswich over 1350m at his most recent start. “He had a tricky barrier at Ipswich and Jim (jockey Byrne) had to go forward,” Dunn said. “I am sure he will be better ridden with cover and over more ground. Dunn believes Thunderous Strike can be a stakes horse next year but first the gelding might head to Sydney for a Highway Handicap for country-trained horses. 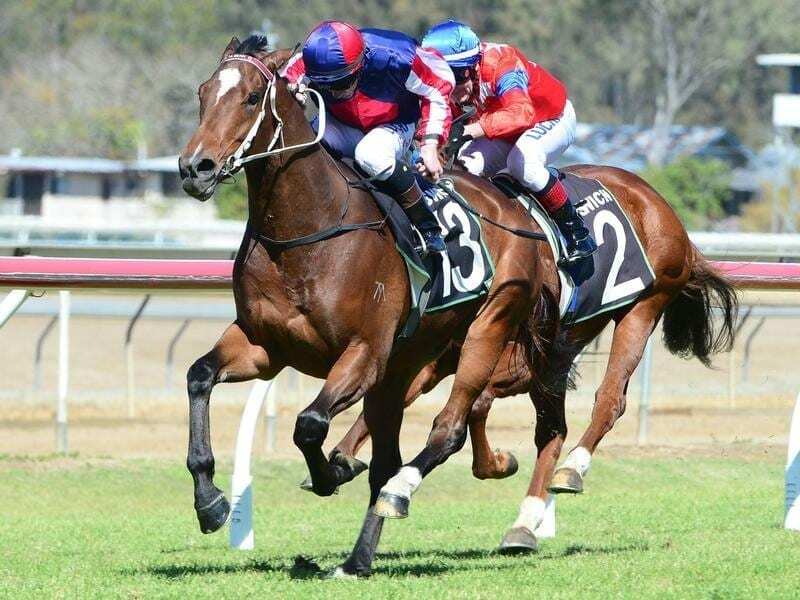 The Murwillumbah trainer hopes to have Care To Think, Snitz and Lifesaver in the $1.3 million Kosciuszko (1200m) at Randwick on October 13. “Care to Think will have a trial on October 2 and go into the big race first-up,” Dunn said..
Dunn said he couldn’t be happier with Snitz who won a trial at the Gold Coast on Tuesday. “His time was very fast and I think it shows this should be his campaign. He has never before trialled that well” Dunn said. Lifesaver will run in Sydney on Saturday and Dunn hopes he will step up and also put himself in the Kosciuszko picture. People who have bought tickets in The Kosciuszko on October 13 will find out next week whether they have won the right to negotiate with owners to run a horse in the race.